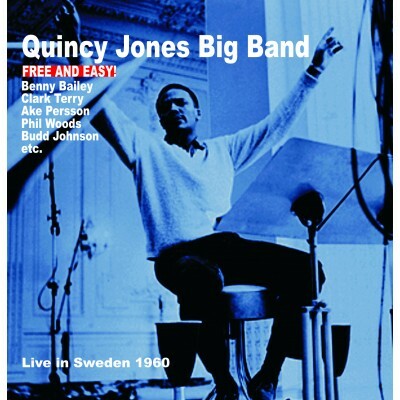 Quincy Jones Big Band - Free And Easy! Quincy Delight Jones was born in Chicago on March 14, 1933. 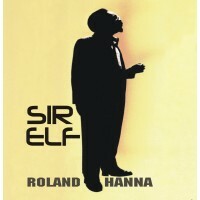 When he was a still a youngster, his family moved to Seattle and he soon developed an interest in music. In his early teens, Jones began learning the trumpet and started singing with a local gospel group. By the time he graduated from high school in 1950, Jones had displayed enough promise to win a scholarship to Boston-based music school Schillenger House (which later became known as Berklee School of Music). After a year at Schillenger, Jones relocated to New York City where he found work as an arranger, writing charts for Count Basie, Cannonball Adderley, Tommy Dorsey and Dinah Washington, among others. In 1953, Jones scored his first big break as a performer; he was added to the brass section of Lionel Hampton’s Orchestra. With his ability to dig up promising newcomers, Hamp had, among others, enlisted noted altoist-arranger Gigi Gryce, Clifford Brown and Art Farmer on trumpet, trombonist Jimmy Cleveland, pianist George Wallington and singer Annie Ross. In September, Lionel Hampton took his band to Sweden for the first time and made a tremendous impression on the youngsters with his frenetic rhythmical show. Hampton’s band continued the tour through Europe and having reached Casablanca it was decided that a return visit to Sweden was imperative and thus Quincy wrote and arranged tunes for a recording with an All Star band from which the iconic Stockholm Sweetin’ track emerged. Three years later, Dizzy Gillespie hired Jones to play in his band and later in 1956 when Gillespie was invited to put together a big band of outstanding international musicians. Diz chose Quincy to lead the ensemble. Jones also released his first album under his own name that year, a set for ABC-Paramount appropriately entitled This is How I Feel About Jazz. In 1957, Jones moved to Paris in order to study with the renowned Nadia Boulanger, an expatriate American composer with a stellar track record in educating composers, bandleaders and musicians. During his sojourn in France, Jones became friends with the now legendary Eddie and Nicole Barclay and they soon engaged Quincy as musical director and he produced and arranged sessions for Jacques Brel and Charles Aznavour, as well as American artists Billy Eckstine and Sarah Vaughan. In late 1959, the now 26 year old Jones was engaged to create the orchestra for a new musical Free and Easy, the songs for which were written by Harold Arlen and Johnny Mercer. The intention was to tour the show throughout Europe before moving to Broadway, however the show ran into difficulties right from the start. After engagements in Amsterdam and Brussels and at the Alhambra in Paris in January 1960, by mid-February amongst bitter recriminations it eventually folded and the 18 musicians and their families were stranded. Having put together and rehearsed such a wonderful band Quincy, to his great credit decided to try to tour the band in it’s own right and for almost a year they struggled on playing concerts in many European countries including Scandinavia, Switzerland, France and Italy but exhausted and desperately short of money Quincy inevitably had to call it a day and return to the States. Fortunately several recordings of the “Free and Easy” band and some film footage were made of concerts given by this outstanding orchestra – just some of the awesome achievements this remarkable man has given to the world in his lifetime.